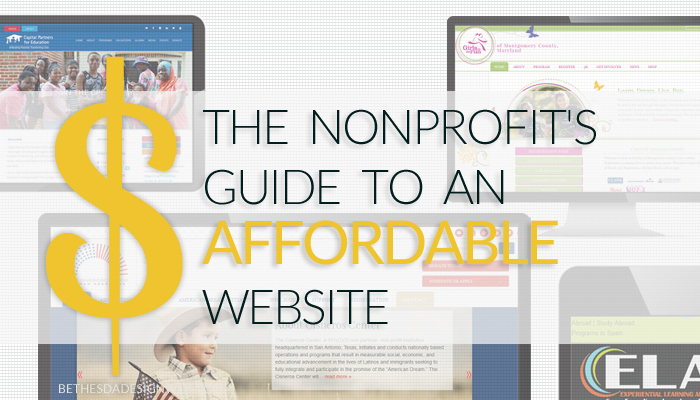 We partner with nonprofits to provide quality web design and development, as well as recommended strategies to improve their online presence. Budget sensitive? We have a solution: See if your NP qualifies for our ZIP project. Any professional entity needs a distinctive online presence. We provide a feature-rich website built to affect behavior by design. We also train and offer standby support – all you need for a successful web presence. Internet search and Social Media are primary outreach tools we hone by metadata targets, content tweaks, and organic outreach. Our support starts with a clean solid framework and continues with our training and support options. We provide outsourced support to companies and agencies, including full web development, project management, copywriting and content migration, and continued support to you and your client. We are Bethesda Design Web..
Everything looks great! The colors, the composition, it all looks great. Thank you very much, everyone is enjoying [our new online home]. My team and I sincerely thank you for all your help in establishing our website. Thanks to [your cost-and-time efficient ZIP project], we hope we can continue to provide medical services to those that can’t afford it for years to come. Again, thank you for all your help. We are very pleased with the web site renovation that Bethesda Design Web provided us. Our old web site was clumsy and unattractive, thrown together using do-it-yourself tools provided by the domain registry. BDW worked with us, step by step, the whole way. They listened to the functionality we needed and the look we desired, and made it happen. They were very patient with our numerous questions, and responsive getting back to us. The WordPress tutorial was crystal clear, and we’re now adding and managing content with confidence. We give Bethesda Design Web our enthusiastic recommendation. Bethesda Design Web helped us navigate the ever changing and complex world of web design and functionality to create both an eye catching and powerful site that is easy to navigate. [BDW] listened to our needs and created exactly what we envisioned. She was affordable, professional, and flexible. We are thrilled with our new look. Our non-profit arts org needed a website that reflected our artistic nature but didn’t break the bank. BDW was able to work within our budget to create a beautiful website that showcases our creative side without sacrificing work ability. We are incredibly grateful for having discovered them. Bethesda Design Web provided us with a terrific web site that surpasses our original expectations, giving us tons of things we had not even thought about – custom graphics, the ten-reasons idea, a stunning and functional form application system, video flows and an outside blog. We most assuredly recommend Bethesda Design Web with our highest praise. Awesome service, and the site looks great, thank you! We appreciate how patient you were with the process and the training was perfect. We noticed the extra mile you went. And the follow up care is exactly what we need. We would definitely recommend your outfit. An opportunity to schedule a free phone consult to discuss the project and proposal. Look forward to meeting you!